- Simple touch-screen interface. The T6R touch-screen makes scheduling, changing and overriding temperatures easy with a large, clear display and intuitive on-screen text guidance. 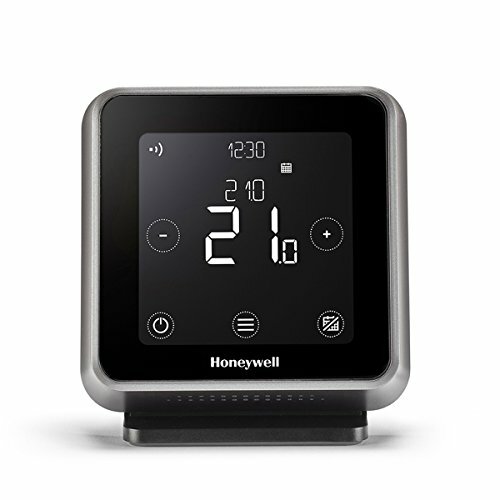 - The Honeywell Home app gives you complete control over your home heating wherever you are, including schedules and automated synchronisation with the thermostat. - Using the location features on your smartphone, the T6R communicates with the Honeywell Home app to determine when your home is vacant or when you are on your way home adjusting the temperature automatically. - Scheduling to suit you. The T6R features a choice of schedule settings to fit your lifestyle, including 7 day, 5/2 day and single day scheduling with up to 6 different time settings per day. - Apple Home kit ready. The T6R is Home kit enabled meaning it can be controlled using an Apple device (requires iOS 8.1 or later), as part of a suite of home kit compatible products.